Finnish-born Soile Stratkauskas moved to Victoria, BC, in 2010 and has since established herself as the leading baroque flutist on the Canadian West Coast. She regularly performs at the Victoria Baroque, Pacific Baroque Orchestra, and Pacific Baroque Festival concerts as soloist, chamber, and orchestral musician. 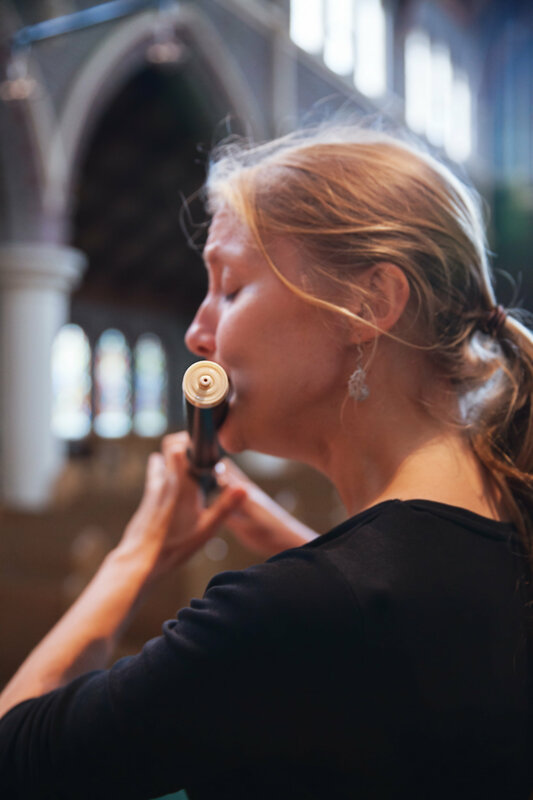 Soile completed her undergraduate studies at the Royal Northern College of Music in Manchester, and gained her Master’s degree at the Royal Academy of Music in London, UK, where she studied early flutes with Lisa Bezonsiuk. Soile has performed with many prominent period instrument orchestras in the UK, including the Orchestra of the Age of Enlightenment and the Gabrieli Consort and Players, and has toured in Europe with these groups. With her chamber ensemble ‘Four Temperaments’ she has performed at the London Handel Festival, Saintes Festival in France and Musica Antiqua in Barcelona. Soile is the Founder and Artistic Director of the Victoria Baroque, and is passionate about creating opportunities for music making in the community. She teaches baroque flute at the University of British Columbia as part of Early Music Vancouver’s Baroque Orchestra Mentorship Programme.